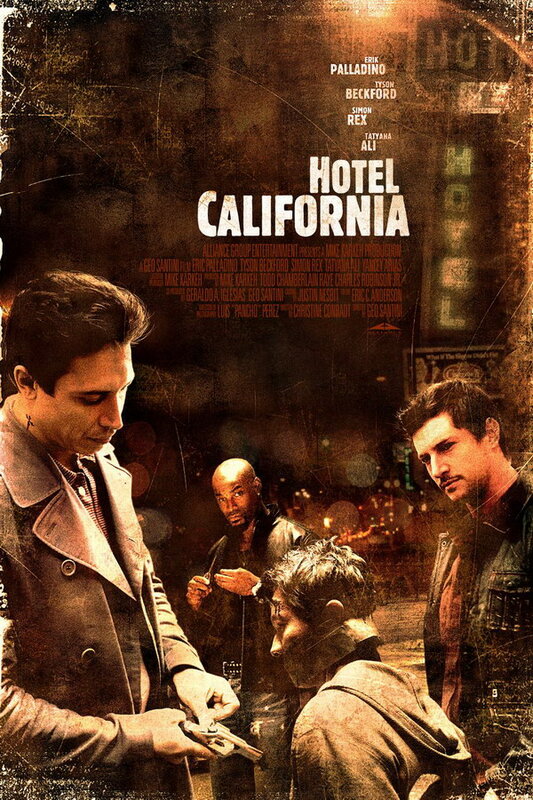 Hotel California font here refers to the font used in the poster of Hotel California, which is a 2008 crime drama movie about three professional criminals in Los Angeles. The font used for the movie title in the poster is probably Block BQ Extra Cond designed by Hermann Hoffmann. The font is a commercial one and more details can be found here. The Block font identified above is not available for free, please follow the link above and purchase the font. Meanwhile, you can take a look at our collection of fonts for cars, pop music and apparel as well as round-ups of new & fresh fonts around the web. In addition to Hotel California, Block typeface is also used in the following logos, movie posters or album covers etc., including: Earned in Blood, Charlie Hebdo, Bear in the Big Blue House, Sonic Generations, Catastrophe 1914, Praktiker, City of God, The Baader Meinhof Complex, Road To Hill 30.